Apollo Nida, husband of Phaedra Parks from "Real Housewives of Atlanta," was sentenced July 8 to eight years in prison followed by five years of supervised release "for conspiring to commit mail, wire and bank fraud." It seems that may have taken a toll on the couple's marriage; Phaedra Parks has retained a lawyer with the intent to "amicably (end) her marriage," a rep for the reality star said. Teresa and Joe Giudice are both headed to prison. On October 2, Joe was sentenced to 41 months in prison by a New Jersey federal judge. Teresa was sentenced to 15 months. The "Real Housewives of New Jersey" couple pleaded guilty March 4 to multiple federal fraud charges, including conspiracy to commit mail and wire fraud and lying on mortgage and loan applications. In May, former "Real Housewives of New York" cast member Bethenny Frankel testified in court during a custody battle with ex-husband Jason Hoppy for their 4-year-old daughter, Bryn. That case was settled in June, but that's not Frankel's only courtroom trouble. According to The Hollywood Reporter, in 2012 Frankel settled a $100 million lawsuit in 2012 over her popular Skinnygirl Cocktail brand after a management company accused her of cutting them out of the lucrative deal when she sold her company. 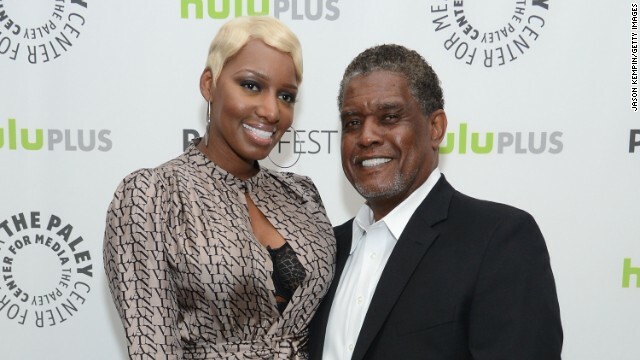 NeNe Leakes recently remarried her ex-husband Gregg Leakes, and the "Real Housewives of Atlanta" stars are being accused by their wedding planner of not paying a balance of more than $1 million. Leakes denied the accusation on her Twitter account. Jacqueline Laurita and her husband, Chris, were sued by the bank that held their mortgage on accusations of missing payments. The "Real Housewives of New Jersey" cast member has also been accused of owing state taxes. "Today" called it the "battle of the bulge" when Heather Thomson was sued in March 2013 by Spanx over her brand of Yummie Tummie shapewear. "Real Housewives of Orange County" star Vicki Gunvalson dodged a legal bullet when a $250,000 breach of contract suit against her was dismissed in July 2013. But boyfriend Brooks Ayers didn't fare so well in the case, which accused Gunvalson of giving Ayers a percentage of a vodka business without informing her business partner. The portion of the suit against Ayers was not dismissed. "Real Housewives of New York" dealt a great deal with the financial troubles of cast member Sonja Morgan. She blamed it partially on a $7 million judgment entered against her over a failed movie project she was producing. "Real Housewives of Atlanta" star Kim Zolciak was accused of being tardy with the money in March 2013 by fellow cast member Kandi Burruss and producer Don Vito. The pair accused her of denying them payment and rights to her single "Tardy for the Party." Zolciak released a statement denying the claims. Kelly Bensimon of the "Real Housewives of New York" was arrested in 2009 for allegedly punching her then-boyfriend. That same year, she was accused in a suit of copying a jewelry design. "Real Housewives of Orange County" star Gretchen Rossi was awarded more than $500,000 in damages after an ongoing legal battle with a man who claimed to have had a secret relationship with her. When Jay Photoglou sued her for libel and slander, Rossi countered with accusations including stalking, battery and emotional distress. She is no longer on "Real Housewives of Atlanta," but Sheree Whitfield made headlines when her own divorce attorneys sued her for lack of payment. They were eventually awarded a judgment. Micah and Peggy Tanous of "Real Housewives of Orange County" appear to be just the latest in a long line of cast members who have had financial woes. She was reportedly in dispute with three banks over her mansion. A former employee of "Real Housewives of New York" cast member Cindy Barshop's filed a discrimination charge against her in 2011. The woman claimed she had been fired from Barshop's Completely Bare salon because of her race, but the suit was eventually dismissed. Fans of "Real Housewives of Orange County" watched as Lynne Curtin and her family were served an eviction notice in 2009. That same year, TMZ reported that a bench warrant had been issued for Curtin and her then-husband, Frank, for a $1.2 million judgment issued against them. 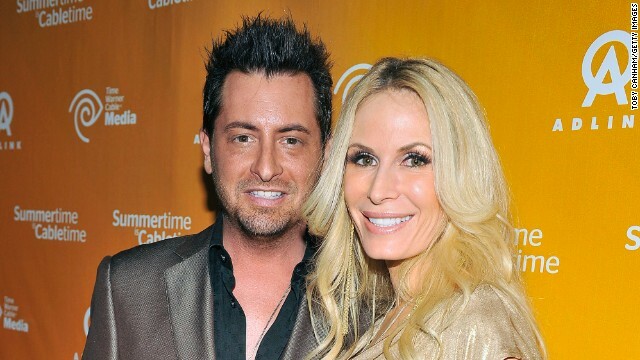 Who could ever forget Tareq and Michaele Salahi of the failed "Real Housewives of D.C."? According to Jezebel, the famed White House gate-crashers have been named in more than 20 civil suits. The pair split in 2012 after Michaele reunited with her former love Journey guitarist Neal Schon. (CNN) -- "Real Housewives of Atlanta" husband Apollo Nida has reported to prison to start an eight-year federal sentence for a fraud conviction, despite a side trip to have a final word with his wife. Nida was still in Atlanta at the home he shared with his wife, "Real Housewives" co-star Phaedra Parks, on Wednesday after the noon deadline that U.S. marshals gave him to turn himself in to the minimum-security federal prison in Lexington, Kentucky. Park's publicist, Steve Honig, who was at the home when Nida arrived Wednesday afternoon, told CNN "there was an incident" around 4 p.m., although he declined to give details on the record. A source who witnessed the incident told CNN that Nida came to the house because he was upset that Parks would not deposit money into his prison account. The source asked not to be identified. Nida, 35, eventually checked into prison as inmate 65725-019, prison spokesman Kenny Coleman said Thursday. Inmate privacy rules prevented the spokesman for disclosing details about what time Nida arrived. "I can tell you that he is here," Coleman said. However, Nida posted a message on his Twitter account early Thursday saying "I would like to say thanks 4 everyone's support & thanks 4 holding me in prayer I've arrived 2 my destination and I'm going asunder"
He also posted a video on his Instagram account with a similar message that apparently was recorded just before turning himself in at the prison. Nida's lawyer did not respond to CNN calls about Nida's status. Parks, a lawyer and reality TV star, would not comment on the record about tabloid reports that she was upset that Nida ignored his children and spent much of his time drinking in clubs during his last weeks of freedom. "Phaedra is now putting all of her energy into ensuring the well-being of her two children and making decisions that are in their best interests," her publicist said in a statement to CNN on Wednesday. "This situation has put a tremendous strain on Phaedra and her family, and she is working hard to bring back a sense of normalcy to everyone's lives." Nida, who appears on the reality TV series with Parks, was arrested in January and pleaded guilty in May to charges in a fraud scheme that federal prosecutors say stole millions of dollars from at least 50 people over four years. He must serve five years under parole supervision after he completes his eight years in a federal prison, U.S. District Court Judge Charles A. Pannell, Jr. ordered at his sentencing in July. This is the second prison stint for Nida, who served five years in a federal prison for auto title fraud before marrying Parks in 2009. In the most recent case, Nida created two fake collection companies to gather personal information used to steal victims' identities, U.S. Attorney Sally Quillian Yates said after his sentencing in Atlanta. He used the information to get fraudulent auto loans in the names of his victims, according to the criminal complaint. He was busted after a yearlong investigation by the U.S. Secret Service. The break in the case came in September, when federal investigators arrested Gayla St. Julien, a woman who "described herself as Nida's 'right hand b----' in executing the legwork of his fraud schemes," the criminal complaint said. St. Julien, who previously served prison time for identity theft, told agents that Nida "only paid her 'scraps' " for her work, "compared to the amount of money he made from the fraud schemes," the filing said. She turned on him and agreed to let agents record their phone calls, it said. Nida "knowingly and willfully (did) execute and attempt to execute a scheme to defraud federally insured financial institutions by depositing stolen and fraudulently obtained checks and fraudulently obtained auto loan proceeds into bank accounts opened in the stolen identities of real persons, and conspire with others to do so, and knowingly convert to his use and the use of others stolen and fraudulently obtained United States Treasury Checks," Special Agent Alexandre Herrera said in a sworn affidavit. Nida's fake companies fraudulently signed up with "LexisNexis, Equifax, and Mircrobilt databases" to steal personal information on people. Along with the fraudulent auto loan checks, Nida stole U.S. Treasury checks, "retirement checks issued to Delta Airlines employees, and checks in the names of real people that were owed unclaimed property from various state and federal government agencies," the complaint said. Agents recorded phone calls St. Julien made to Nida, during which he discussed details of pending fraudulent auto loans and "details of future auto loan checks that he was expecting to receive any day now from in the mail," the affidavit said.